Hillside Festival has announced its 2019 lineup, and as could be expected, a ton of great acts will be playing the annual Guelph fest. Playing the festival this year are the likes of Steve Earle & the Dukes, Fucked Up, Snotty Nose Rez Kids, Skydiggers, Bruce Cockburn, Ellis, Fast Romantics, Foxwarren and Jenn Grant. Other acts include the Burning Hell, Ellevator, Haviah Mighty, Ian Blurton's Future Now, Richard Reed Parry's Quiet River, John Southworth, Orville Peck, Wild Rivers, Yonatan Gat & the Eastern Medicine Singers, Alan Doyle, the Wilderness, Bird City and more. 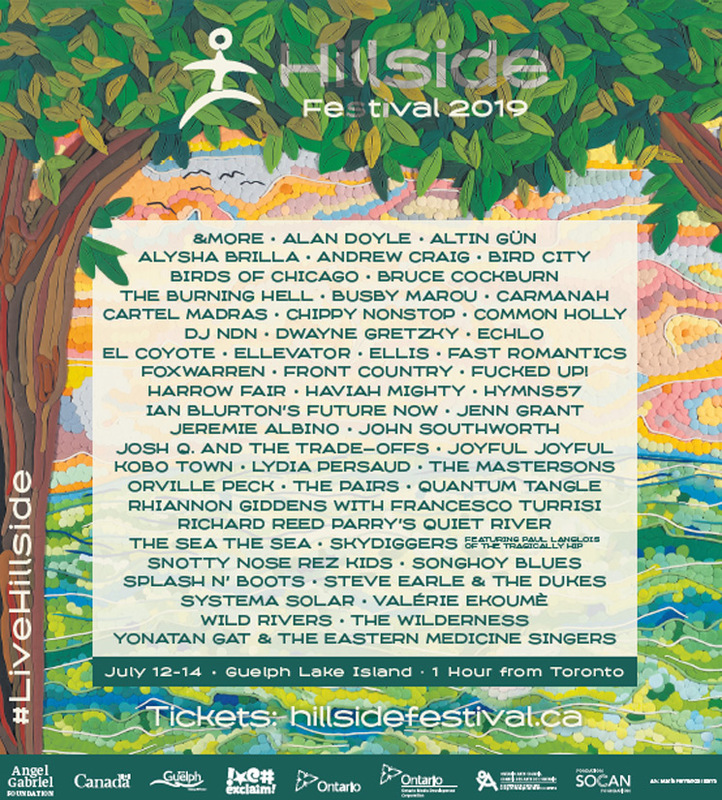 Hillside Festival 2019 takes place on July 12 to 14 at Guelph Lake Island, just one hour from Toronto. For full festival information, ticket options and updates, check out the official Hillside website.